The cornerstone of Rational Emotive Behavior Therapy is its ABC framework which helps therapists make sense of clients' problems. As it turns out, however, this model is often misunderstood by both clients and professionals. Research investigation on this misunderstanding forms the basis of this book. 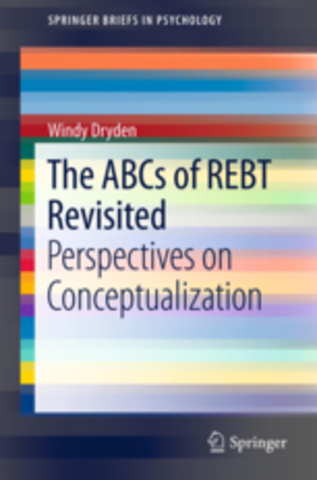 It addresses the doubts, reservations and objections clients had to the ABC framework in a research study of an REBT-based program in a psychiatric hospital. Additionally, errors and confusions on the part of those writing about the therapy is reviewed. Further, study was made on the accuracy of REBT therapists, themselves, in teaching this therapy to students. Also included is an analysis of how Albert Ellis, himself, has explicated the ABC's. This book is the first to systematically study how different groups conceptualise the ABCs of REBT and the errors that are commonly made in interpreting and putting them into practice. It will be of value to students and practitioners of REBT, and those teaching REBT in academic settings.